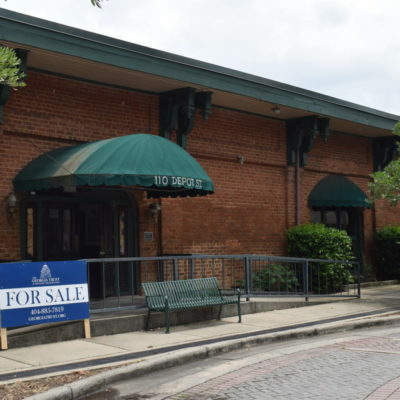 The Georgia Trust for Historic Preservation and the City of Dalton are looking for a preservation-minded buyer to purchase and rehabilitate the Dalton Depot, located at 110 Depot Street in Dalton, Georgia. 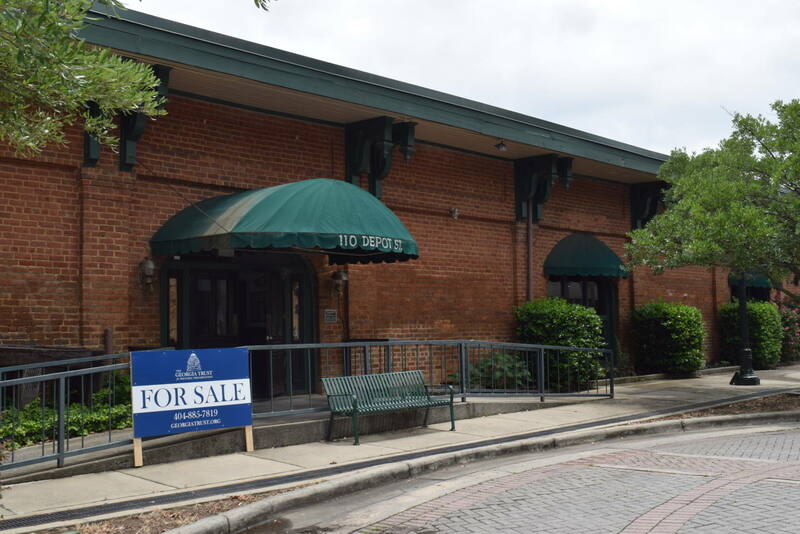 The City of Dalton is accepting bids for the purchase of the historic depot, which is being marketed at a suggested sales price of $500,000 through The Georgia Trust’s Revolving Fund, a program that provides effective alternatives to demolition or neglect of architecturally and historically significant properties. 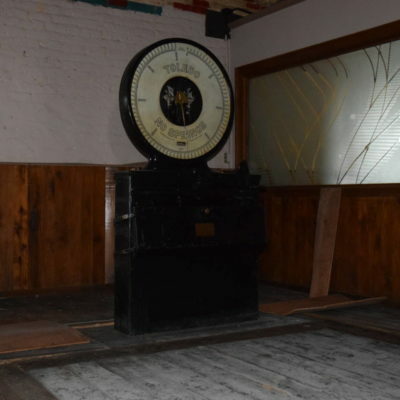 Due to the historic significance of the property, buyers are required to submit a written preservation plan, outlining the rehabilitation of the property in accordance with a timeline for completion, with the bid. 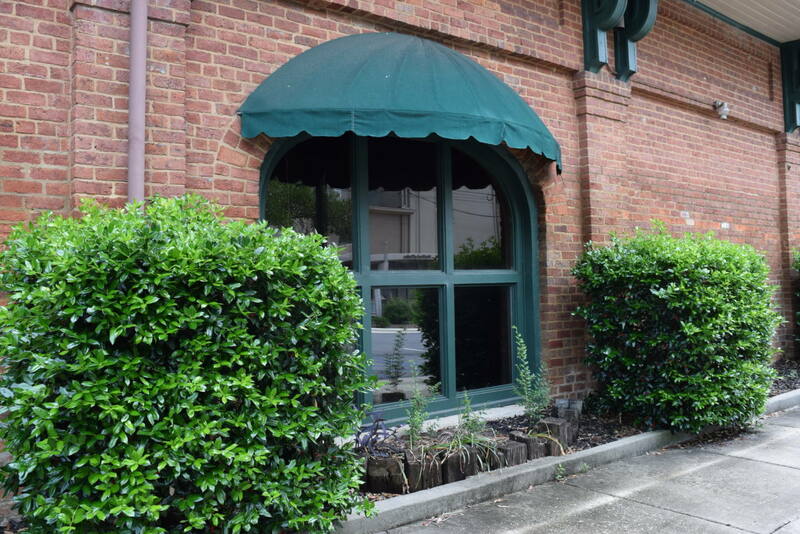 The Georgia Trust and the City of Dalton will host a tour of the interior of the property on Sept. 6, 2018, 10 a.m. to 11:30 a.m. Bids will be accepted until Sept. 14, 2018, 4 p.m. Bids will be opened publicly on Sept. 17, 2018, 9 a.m., at the Dalton City Hall Finance Department Conference Room, 300 West Waugh Street, Dalton, Georgia 30720. For complete details and instructions on the bid process, visit www.bit.ly/daltondepotbids. 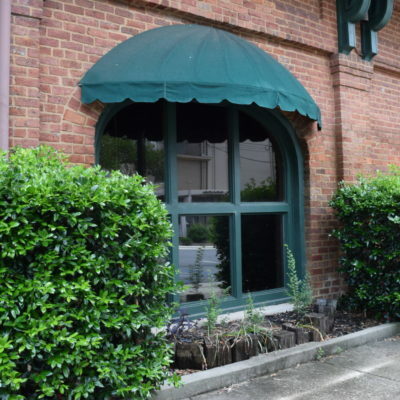 For general inquiries regarding the Dalton Depot, contact Ben Sutton at bsutton@georgiatrust.org or 404-885-7819. The Dalton Depot is in the heart of the historic downtown commercial district. It is zoned for commercial use, and the interior space provides significant flexibility for potential owners and tenants. Office space, restaurant, microbrewery, or flexible event space are all potential uses. There is ample free parking in the immediate vicinity of the property. 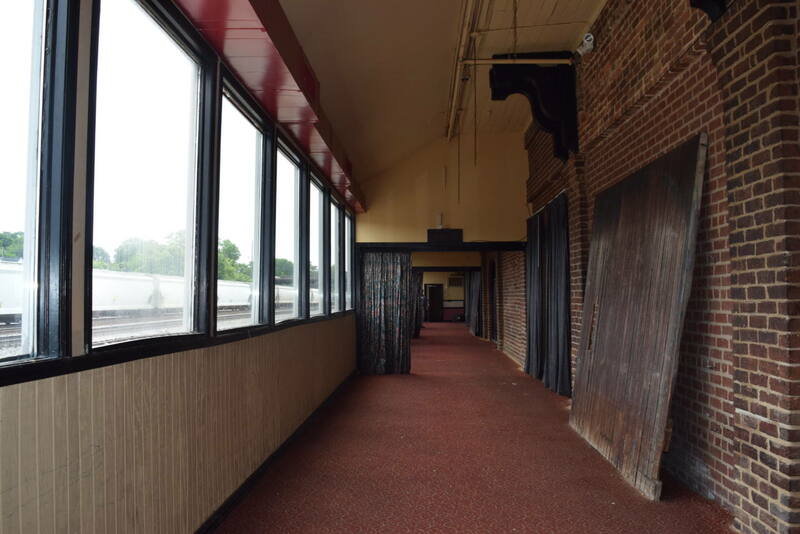 The property will require significant investment to upgrade the existing systems, rehabilitate interior public spaces, and rebuild commercial kitchen spaces (if desired). 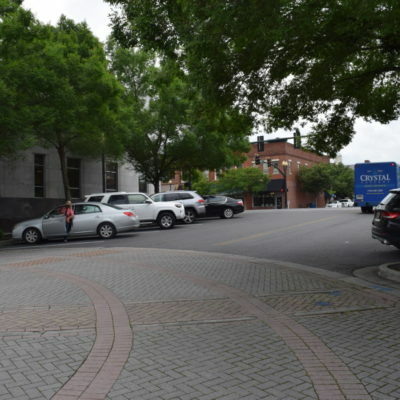 The property is eligible for significant economic incentives, including Federal Rehabilitation Tax Credits, State Rehabilitation Tax Credits, and a Preferential Property Tax Freeze. A Conservation Easement, not currently on the property, can provide additional tax benefits to a potential buyer. 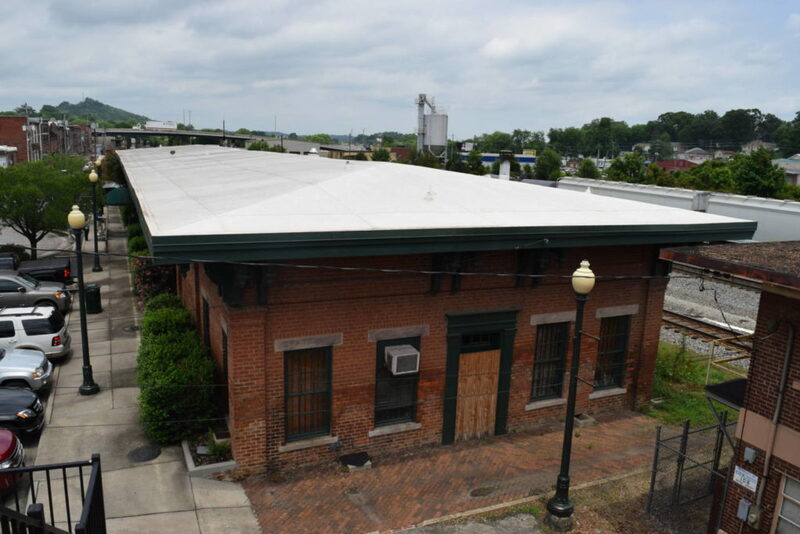 The Dalton Rail Depot is the oldest commercial building still standing in Dalton. It is an antebellum brick building that is individually listed in the National Register of Historic Places. Constructed in 1852 by the Western & Atlantic Railroad to serve as a combination passenger and freight depot, the one-story building features brick masonry construction and large overhanging eaves that are typical of railroad architecture of the era. 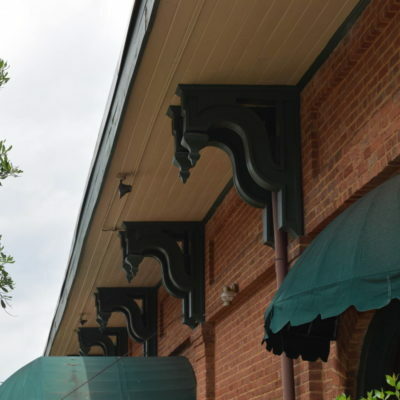 Built in the Greek Revival style, the Depot maintains much of its original detailing, including stone lintels and windowsills, door entablatures, and brick pilasters. 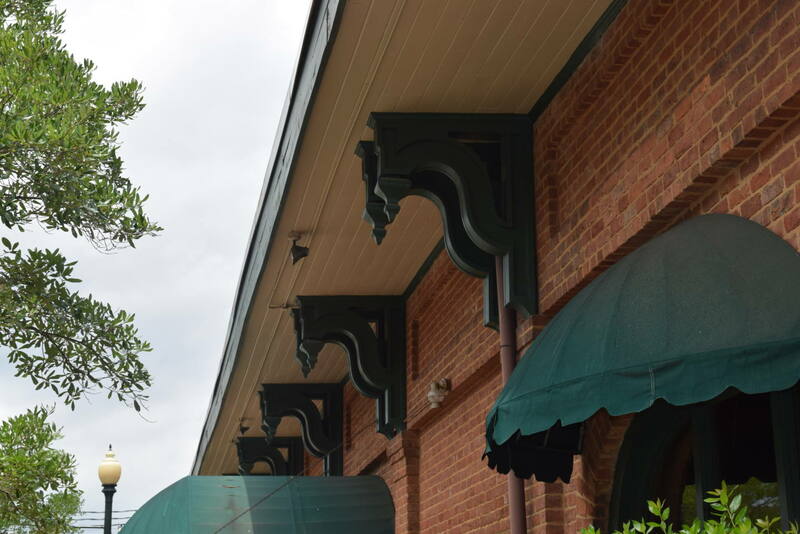 Large Italianate brackets support the eaves of a shallow hipped roof. 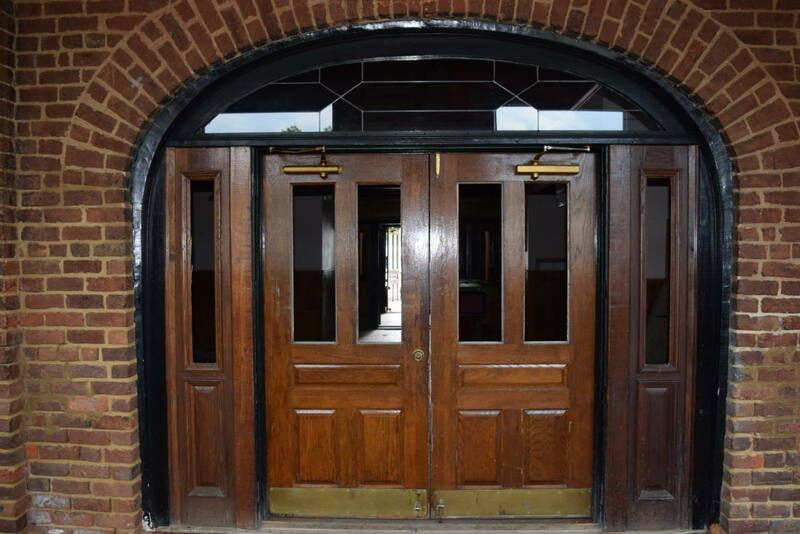 The east and west facades are highlighted by large arched openings, once serving as loading doors for the depot. 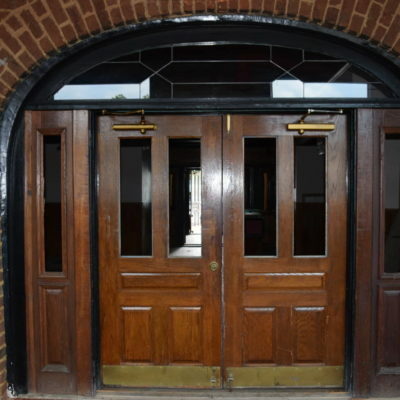 On the west facade, these openings have been converted to windows and a primary entryway, while on the east façade the openings lead to where the platform would have been, currently a modern enclosed space that overlooks the railroad tracks. 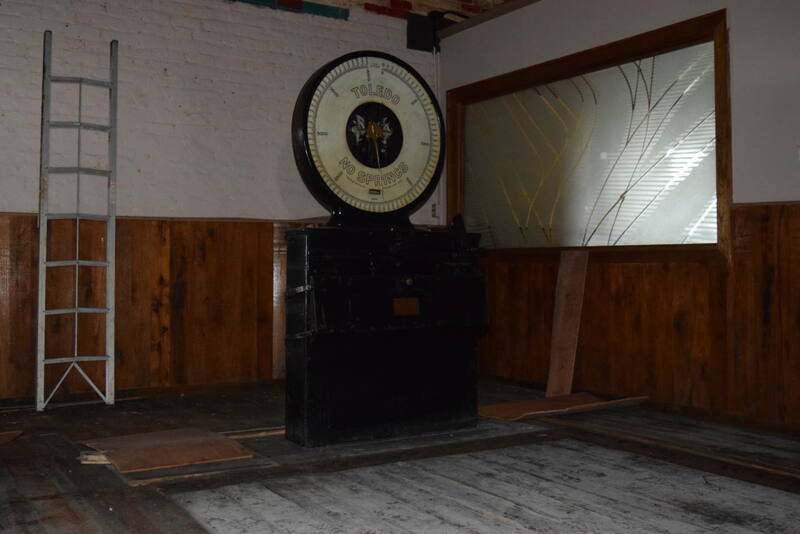 The interior of the building still features the freight scale, ticket windows, and other original details, but has largely been converted to modern restaurant space. Approximately 2,000 square feet of space on the north end of the building was converted to a modern commercial kitchen, although appliances and equipment have been removed. 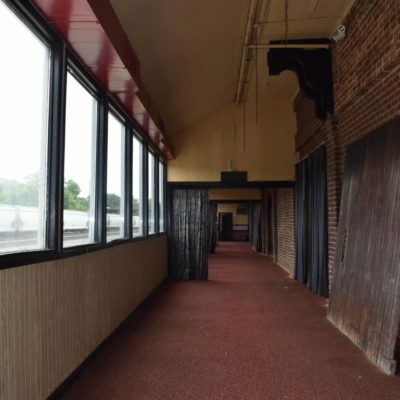 On the south end of the building, the original passenger waiting rooms remain, but have been used recently for storage. 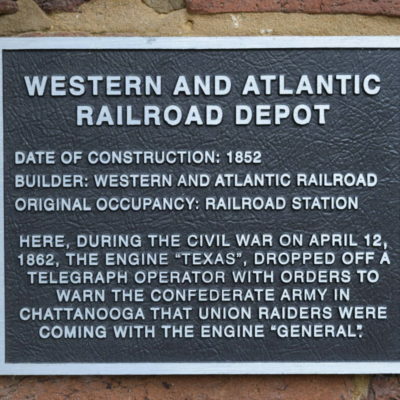 The Dalton Depot, originally designed as a combination passenger and freight depot, played a significant role in one of Georgia’s most infamous Civil War stories. 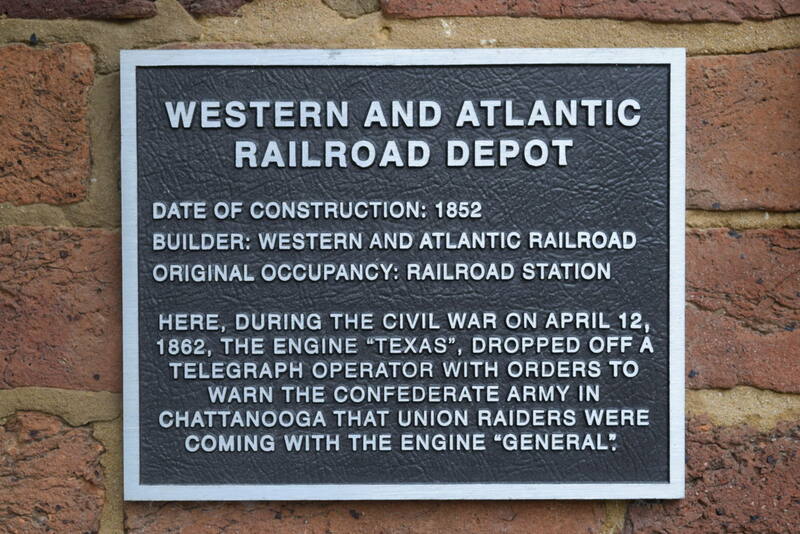 During the Great Locomotive Chase of 1862 when Union raiders stole the “General” near Kennesaw with the intent of attacking Confederate troops to the north, a young telegraph operator was dropped off at the Dalton Depot from the pursuing “Texas” to wire a warning ahead to Chattanooga. The Depot sustained some damage from Union troops later in the War, but most of the building remained intact and was repaired. Dalton is the county seat of Whitfield County, and is the second largest city in northwest Georgia. It is located along Interstate 75, approximately 90 miles from Atlanta and 30 miles from Chattanooga. The population is 34,000 in the city and 105,900 in the county. Known as the “Carpet Capital of the World,” Dalton and Whitfield County is home to 230 manufacturing companies, including several Fortune 500 companies. 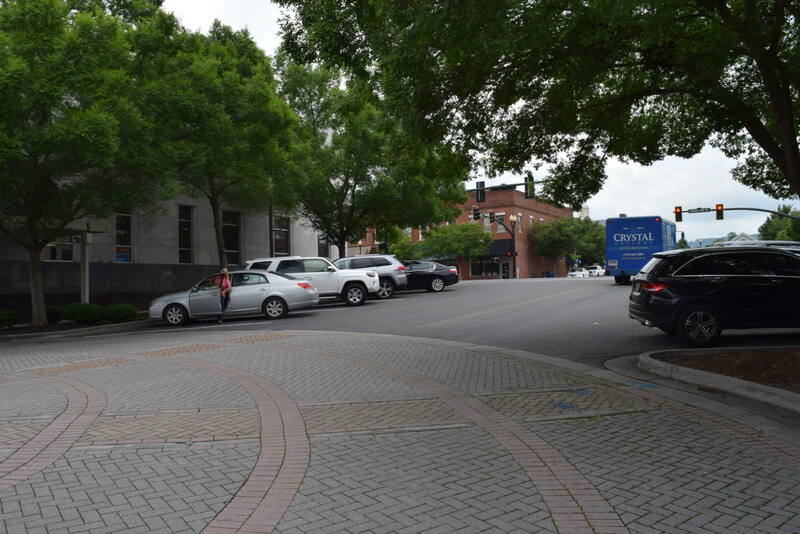 Downtown Dalton counts over 300 businesses with over 3,000 daily employees.